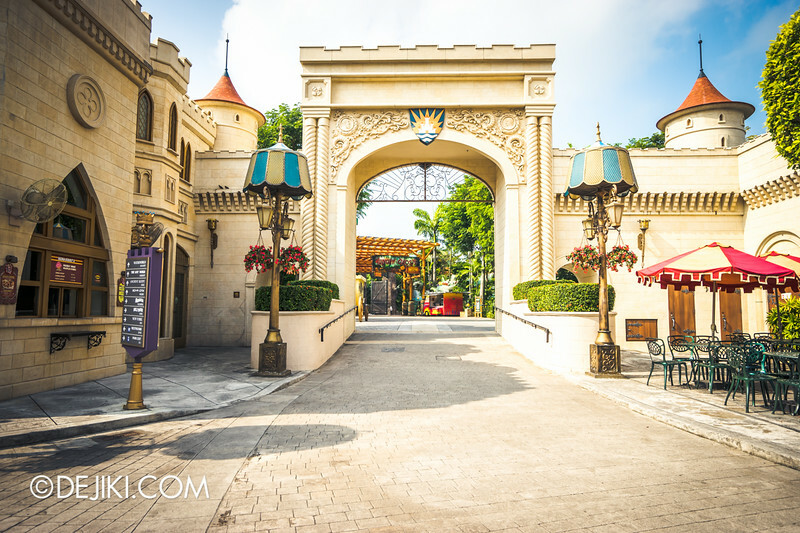 Get the latest on Universal Studios Singapore show changes and more in this issue of Park Update! 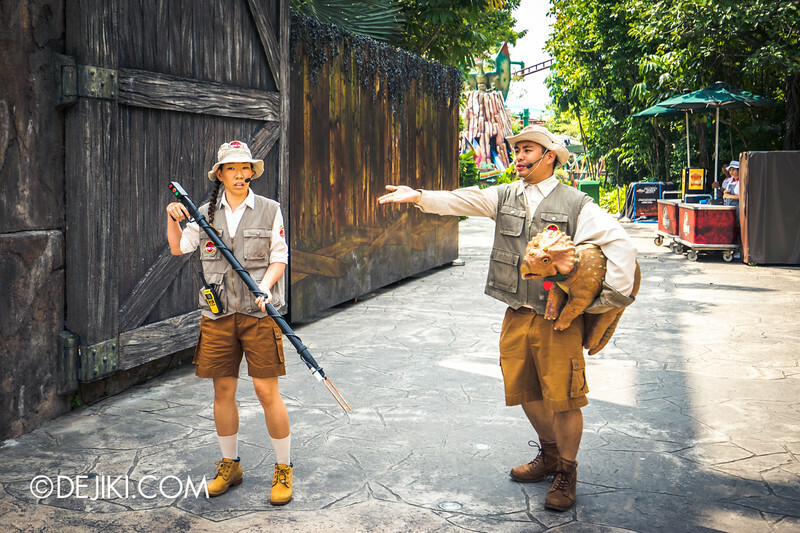 The Jurassic Park zone is cordoned off when the park opens at 10am. 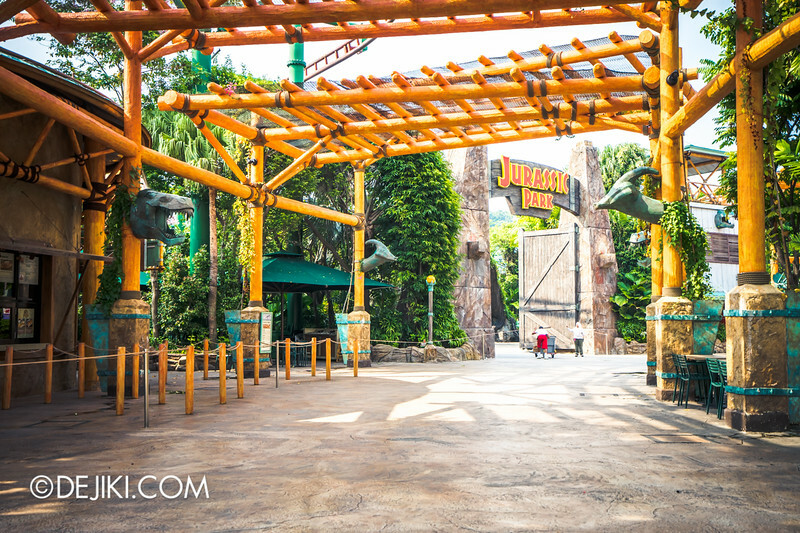 In the past, only the Jurassic Park Rapids Adventure attraction is open later (around 11am). The delayed opening now extends to all facilities in the area. Guests are diverted to other zones of the park. Why would the park do this? Well, this back area of the park doesn’t receive guests until some 30-40 minutes after park opening, as guests are busy with the attractions at the front end of the park, with many stalling at Sci-Fi City. 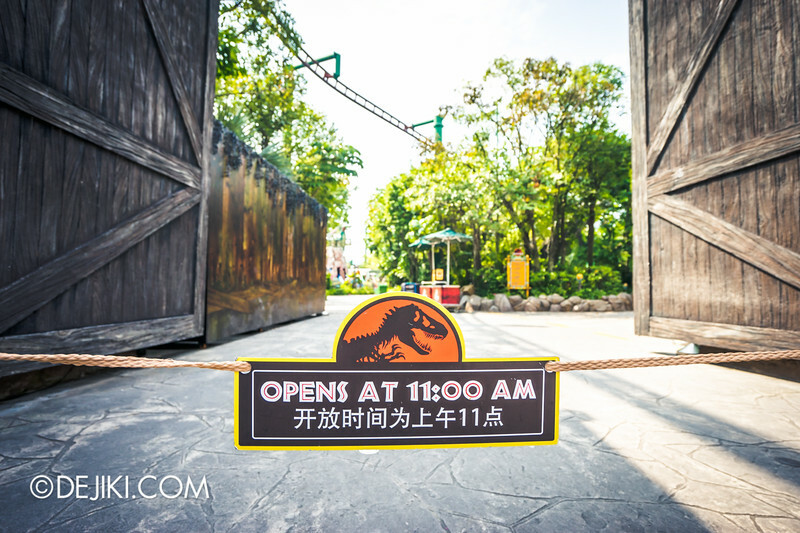 In the park’s first hour of opening (10am – 11am), park-wide announcements are made to inform guests about Jurassic Park zone opening, and inviting guests to visit the area from 11am. 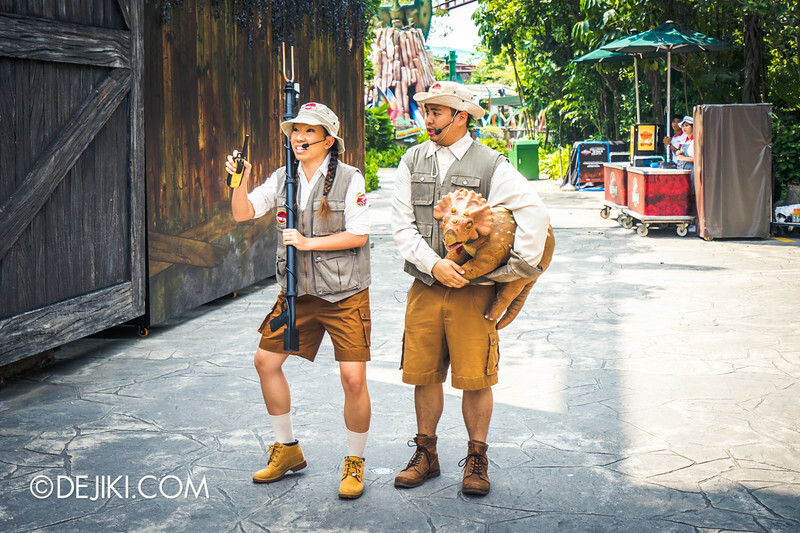 There is a mini show, featuring Dr Rodney and Roberta, two meet-and-greet characters of Singapore’s Jurassic Park. Check it out in the video below. 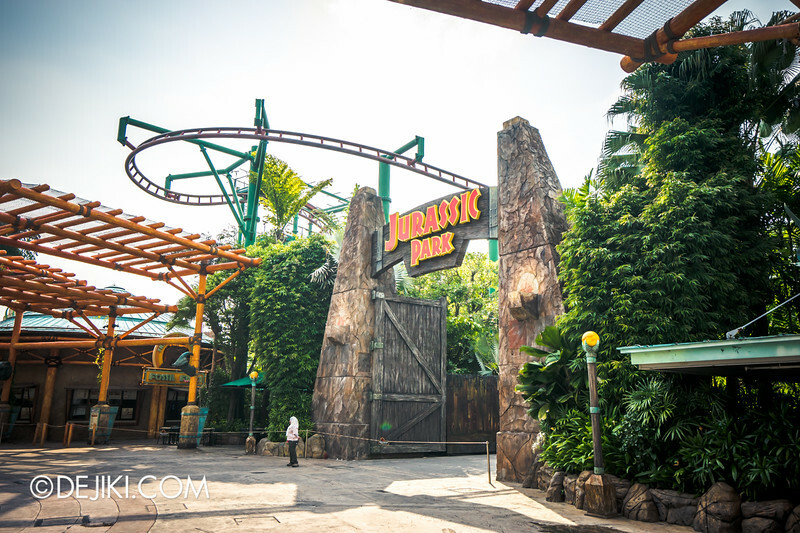 Anyway, the 11am opening of Jurassic Park didn’t happen all the time, so perhaps the idea is still being tested. Park regulars, what do you think about this move to open the entire zone an hour late? 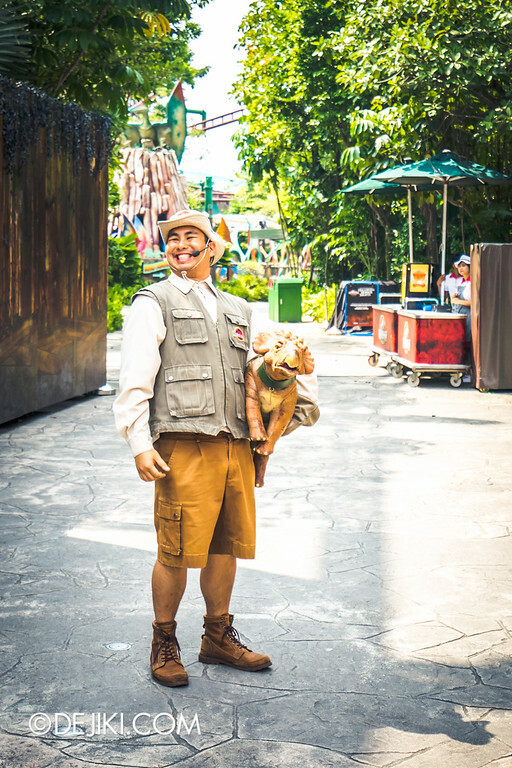 The park has standardised its park hours across all days. 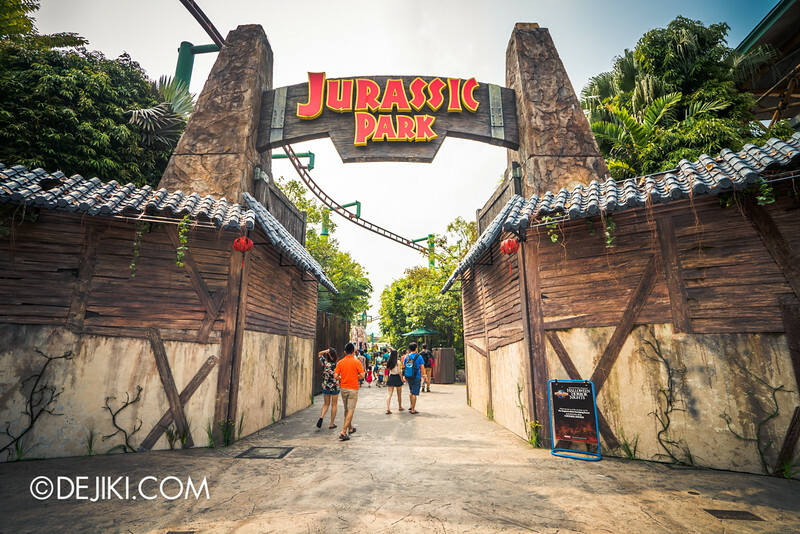 Universal Studios Singapore will be open from 10:00am till 6:00pm daily. In the past, the park closes at 7pm on most days, with an extra hour (open till 8pm) for Saturdays. 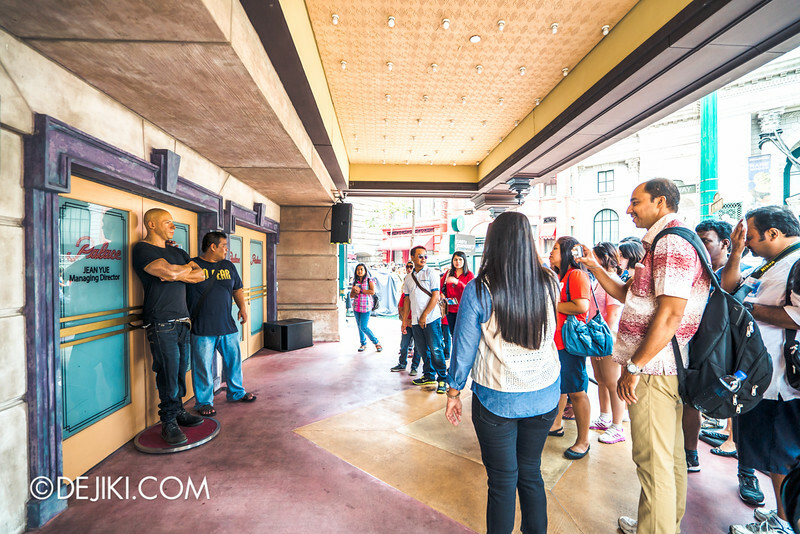 On most days, USS may allow guests to enter the park as early as 15 minutes before 10am, to clear the massive lines before the turnstiles. Consider this ‘bonus time’, especially if you are near the front of the line! The cars of Fast & Furious 7 have left, but Vin Diesel is still here. Did Madame Tussauds Singapore forget? It looks like Superstar Candies is getting another makeover, this time being taken over by the Minion Mart. 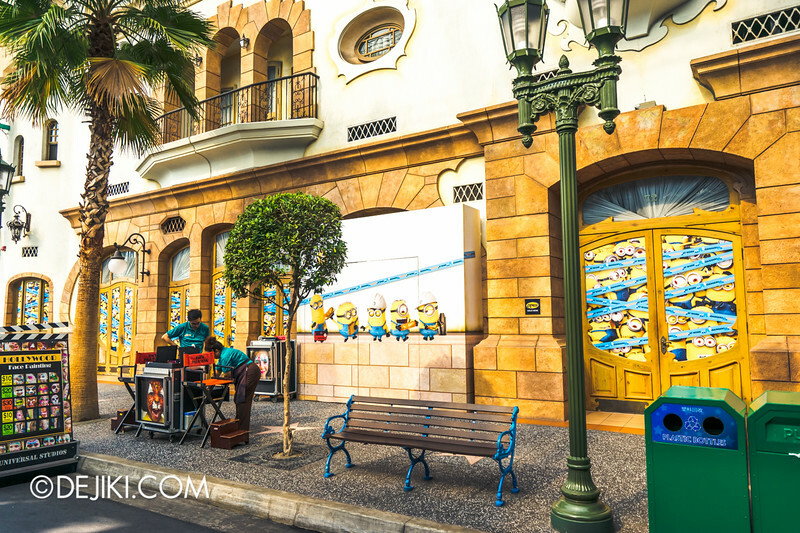 The original Minion Mart opened in April 2014, when most of us were anticipating a Despicable Me: Minion Mayhem attraction. 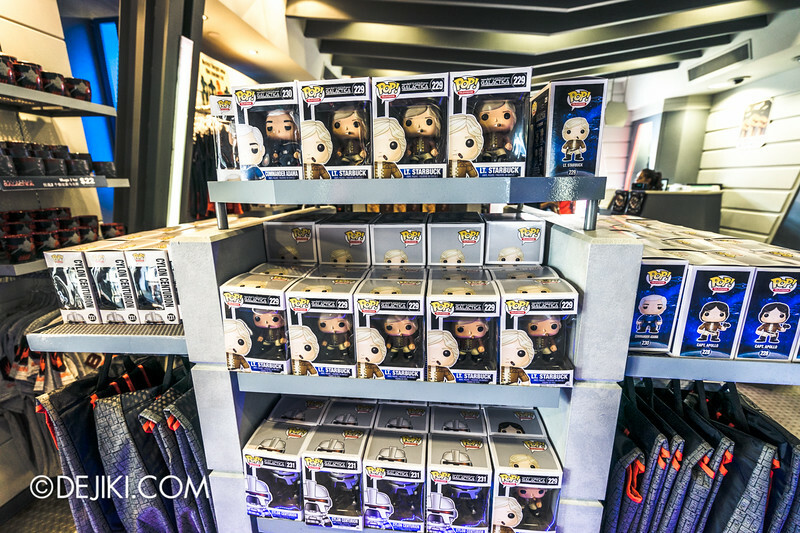 Even with a dedicated store, the retail space is cramped and most of the newer items continue to be displayed at the Universal Studios Store. 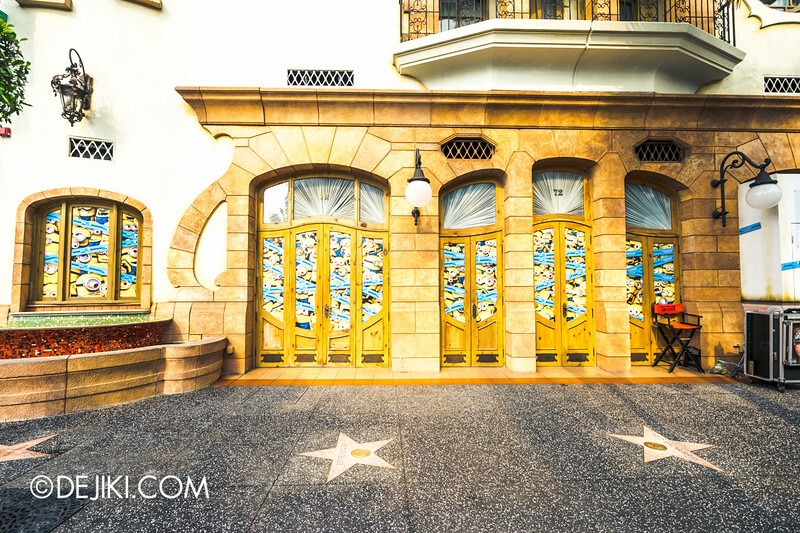 Hopefully the expanded section will incorporate some store design elements from Universal Studios Hollywood. We’ll have photos and video clips of the new Mel’s Dinettes show soon! 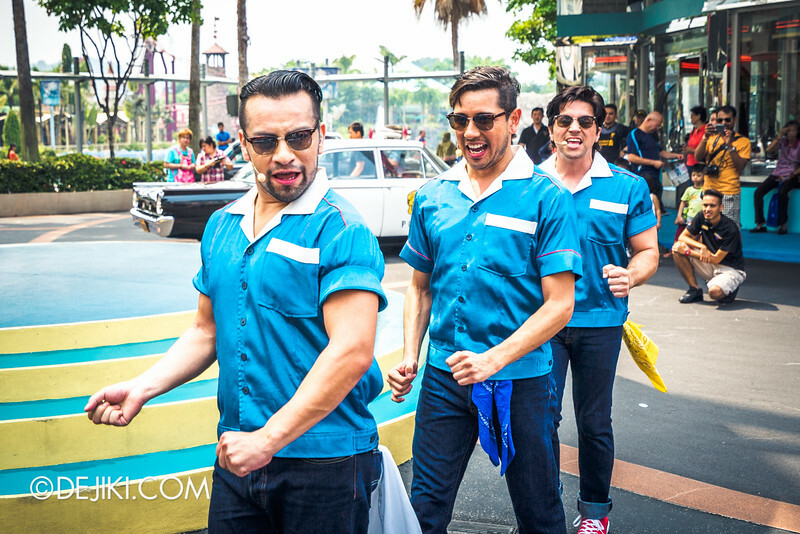 But for now, here’s a photo of the Cruisers. 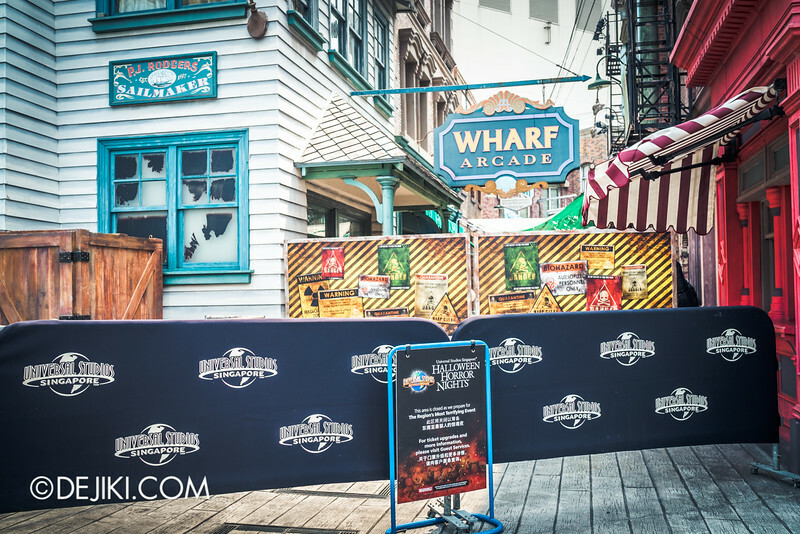 Sting Alley (Water Street) was already closed for the past weeks, but as of 6th September, the entire Harbour Area of New York zone is now closed due to preparations for Halloween Horror Nights 5. 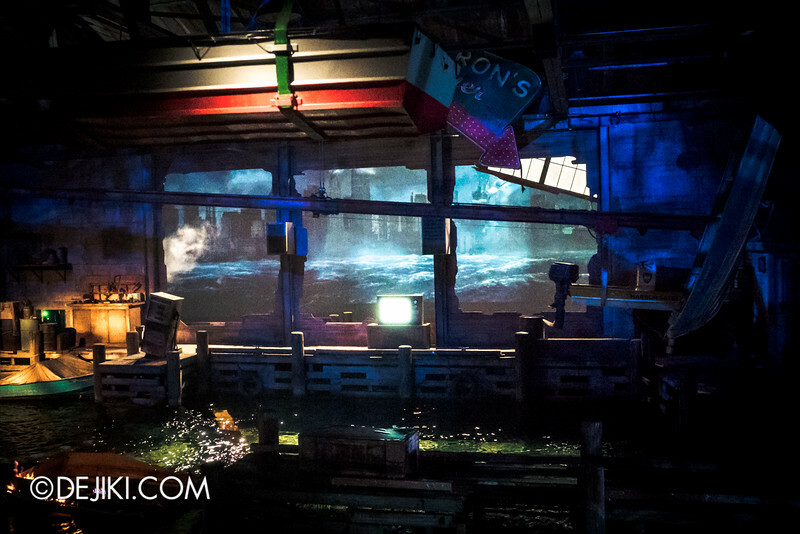 This is for the ConTERMINATED zone and you can see some pictures of this area at HHN5 Before Dark 2. Crew member hiding behind covers as I snapped this photo.. Lights, Camera, Action! 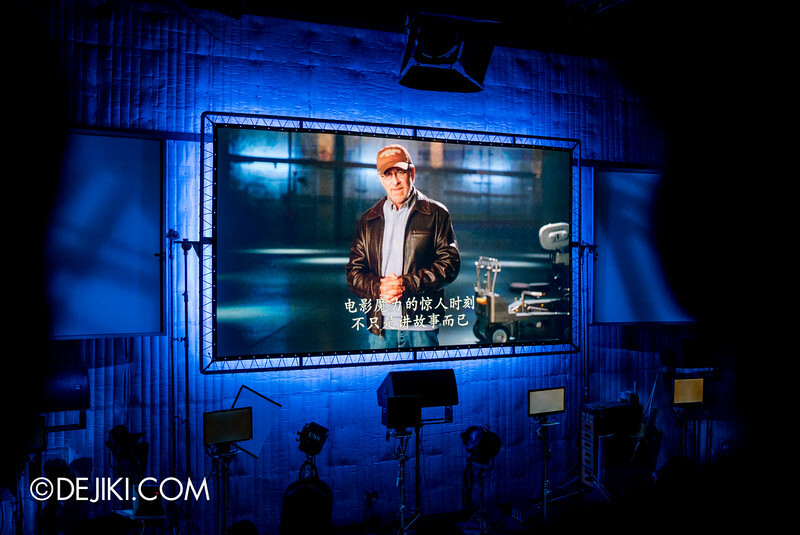 Hosted by Steven Spielberg will be closed for scheduled maintenance for the entire month of October. 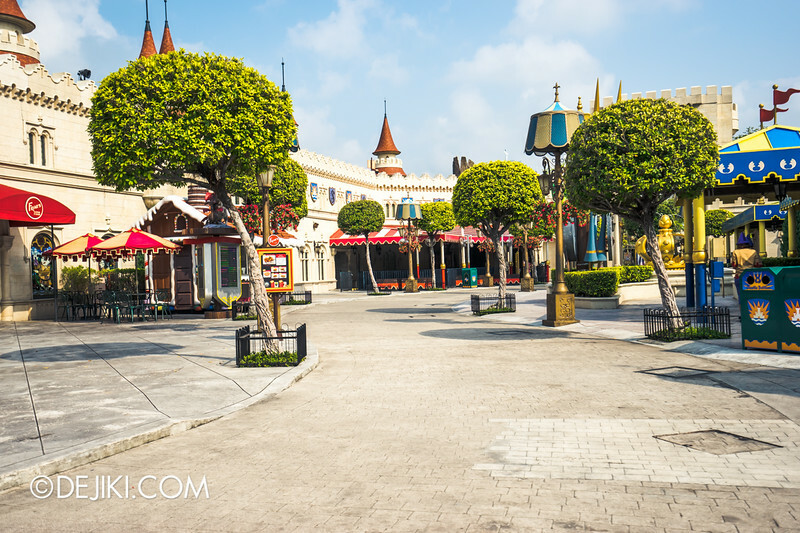 I’m not sure if the park will change anything, because most major effects are still functioning. The viewing gallery could do with some deep cleaning (those padded railings… reek!) and it will be very nice to see all the smaller effects work again. 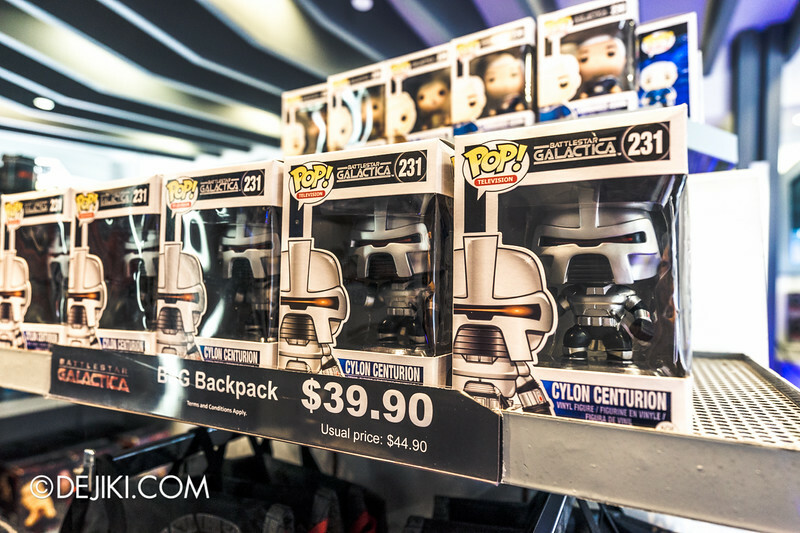 Funko Pop toys have landed at Galactica PX. This collection of Battlestar Galactica figurines are from the original series however, not the re-imagined series that the park’s famous roller coasters are based on. 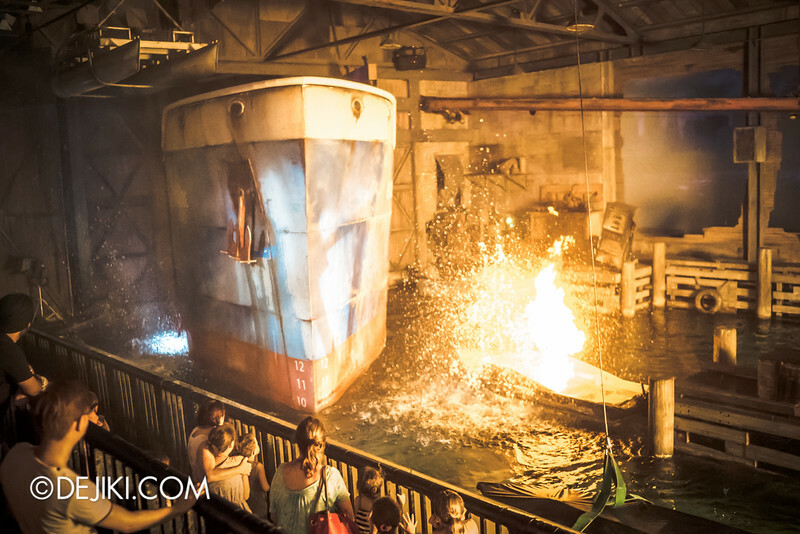 As Halloween Horror Nights 5 is starting next month, Dejiki.com will embark on its signature series covering Universal Studios Singapore’s hallmark event. Every year there are always new concepts (unique to Singapore!) and we will do our best to cover this event and document the incredible world created by the Singapore team. Some of it is already covered in the HHN5 BEFORE DARK series. We’ve also significantly upgraded our gear this year, so hopefully the photos would be better. I noticed from the USS calendar on their official website that they no longer have the Hollywood dream parade and Lake hollywood spectacular until November. Did they removed this features from the park? Hollywood Dreams Parade and Lake Hollywood Spectacular will not be available during September and October due to Halloween Horror Nights 5. 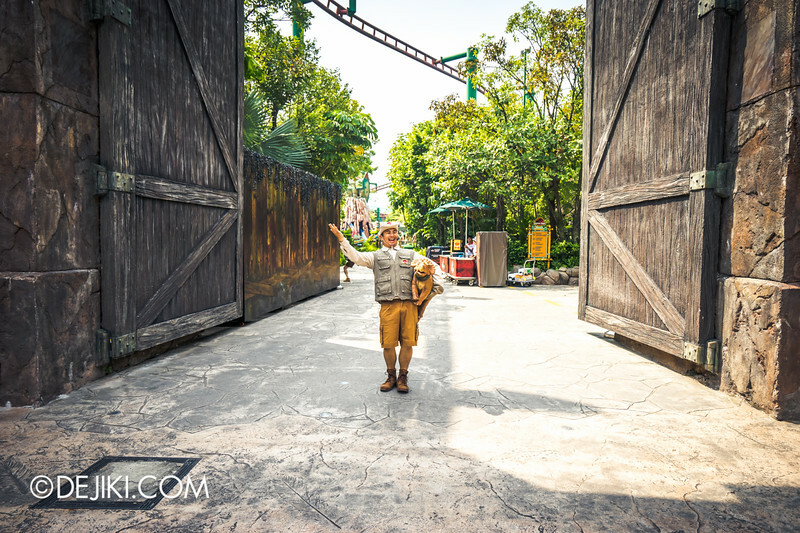 I actually expected the huge dino to come out from behind the gates…that would have been so much better. Now, it’s a bit anti-climax with 1 person just holding baby Diane and the other person pretending to find something. If the big dino had actually come out and walk on its legs (just like how Universal Studios Hollywood/Orlando do), everybody would be like WOW and start swiping out their cameras to take photos of it. What do you think? Hello, is only the rapids ride open at 11 and the rest at 10? Thanks in advance. 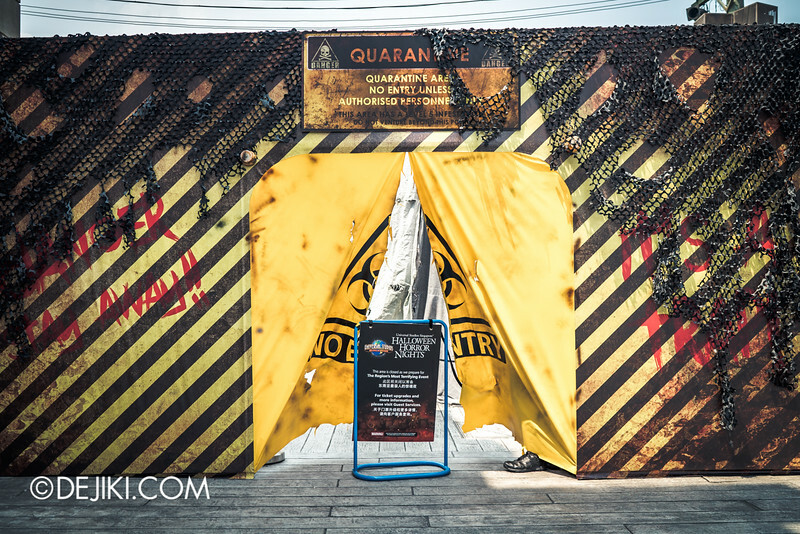 The Lost World zone will only open after 11am. 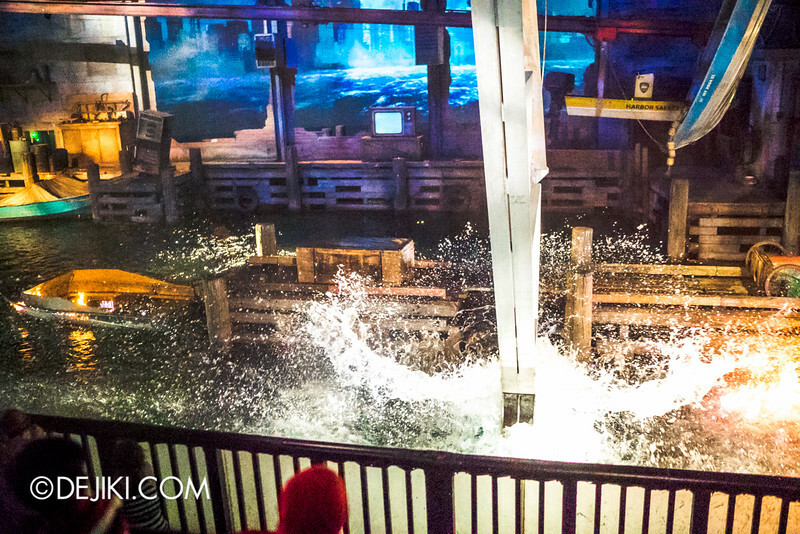 That includes three ride – Jurassic Park Rapids Adventure, Canopy Flyer, and Dino-soarin’. Sorry if this slightly off-topic but can I just confirm if we get unlimited access to the express lane with Student Season Pass with Universal Express, or are we allowed entry via the express lane only once (in a day)? Yes, Student Season Pass with Express has no limit for use at the park during the day. 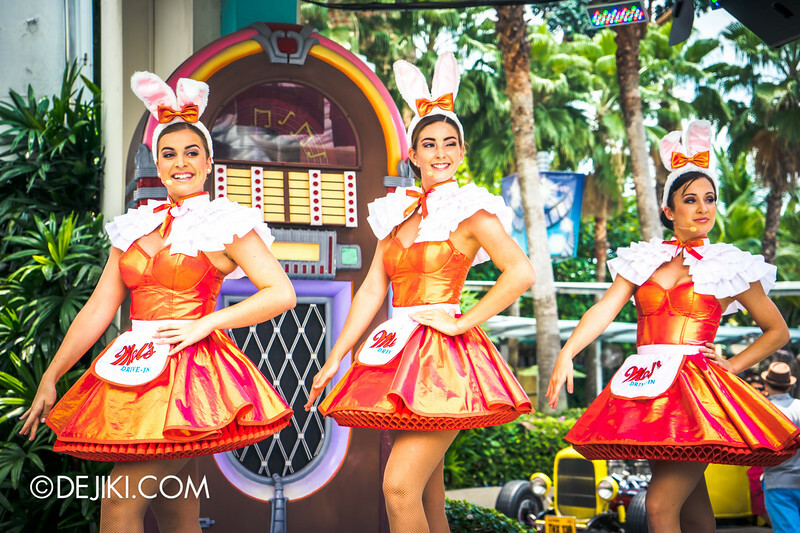 However do note that the Express privilege is not valid during special events, such as Halloween Horror Nights.